Because felonies are such serious crimes, state and federal authorities prosecute them vigorously. This prosecution is likewise held to a strict standard: Prosecutors must prove their case beyond a reasonable doubt. That proof goes for each element of the case: the act and the required mental state of the actor. For more than 20 years, criminal defense attorneys from the Law Offices of Adrian H. Altshuler & Associates have defended middle Tennessee residents against felony charges. That practice requires that we explain to our clients exactly what they are up against in a felony prosecution. This page is intended to help you understand what happens to you during a felony case in Tennessee. Your arrest can come after the grand jury (see below), but for purposes of our discussion, we’ll say the arrest occurred either at the scene of a crime or shortly after its commission. An officer would be able to arrest you based upon what he witnessed (e.g., an armed robbery) or after an investigation uncovered enough evidence to convince a judge that you likely committed the crime. That level of likelihood is called probable cause, which allows a judge to issue a warrant for your arrest so the police can more fully investigate the case. It’s important for you to contact a criminal defense lawyer immediately to ensure you receive the benefit of all your constitutional protections related to the due process of your case. In Middle Tennessee, the Law Offices of Adrian H. Altshuler & Associates attorneys are on call 24 hours a day. Within a couple of days after your arrest, the police run up against a deadline to charge you or release you. If they release you, you’re not out of the woods, because further investigation could reveal enough evidence to proceed with charges. If the district attorney believes there’s enough evidence to pursue the case, you will be arraigned, or formally charged in court before a judge. You should have an attorney at your side to ensure that you don’t say or do anything against your interests, especially if the judge asks you to plead at this time. Among your constitutional rights to due process is the right to reasonable bail, if bail is offered. 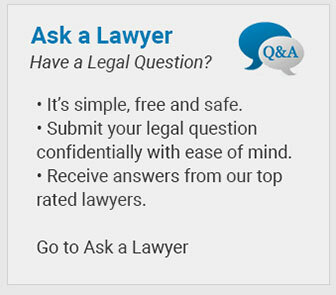 Your attorney will argue on your behalf, first to allow bail and then to set the bail at a reasonable amount. Bail is your promise to appear on future court dates, so the judge must be satisfied that you are not a flight risk. If you are granted bail, you must post bond, after which you are free, but obligated to return for trial. The prosecution addresses the judge who will determine if there is enough evidence to put you on trial. A serious crime requires that a jury of your peers return a bill of indictment. In a grand jury, the prosecution presents its case without a rebuttal from the defense. Jury members then vote whether to indict or decline to indict. If the grand jury returns a bill of indictment, you face a second arraignment where you will formally enter your plea. The judge may also reconsider bail at this point. In the days and weeks leading to your trial, the prosecution may approach your defense counsel (or vice versa) about a plea settlement. In this bargain, the prosecution may decide to reduce charges or ask for a reduced sentence in exchange for you pleading guilty. Whether the plea is advantageous for you depends upon the strength of the prosecution’s case, your credibility and other factors. An experienced criminal defense attorney can give you reliable advice, but the final decision on whether to accept a plea bargain is up to you. In the lead-up to trial, a lawyer experienced with felony and misdemeanor cases will attempt to weaken the prosecution’s case through procedural maneuvers, such as motions to suppress the evidence against you. You have a right to a trial before a jury. Your attorney will spend a great deal of time and thought on jury selection to help improve your chances of acquittal. The trial consists of the prosecution presenting its case, evidence and witnesses, and your defense lawyer countering. Eventually, the case will go to the jury who will decide whether to convict or acquit. If the jury acquits, you’re free to go, and may never be tried for the same offense again. If the jury convicts, the judge may sentence you that day or arrange a time in the near future to announce sentencing. The Law Offices of Adrian H. Altshuler & Associates provides aggressive felony defense in Williamson County. To learn more about how we can defend your right to due process, call us today at (615) 412-1121 or use our convenient online form to schedule your free initial consultation.